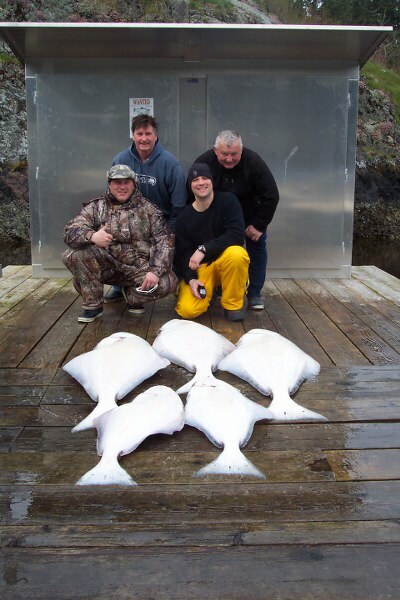 "it's been a great week of halibut fishing with limit trips all week. 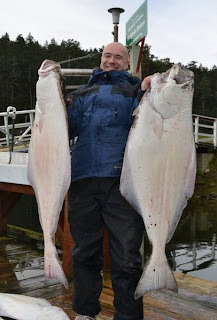 Our largest this week was 85lbs, a few in the 70s and lots 45-55lbs. We even managed a couple flat calm days as well. Some days the bite was all day long and on any bait and other days it was fast and furious on the tide changes only, but one thing's for sure there are lots of halibut out there right now! 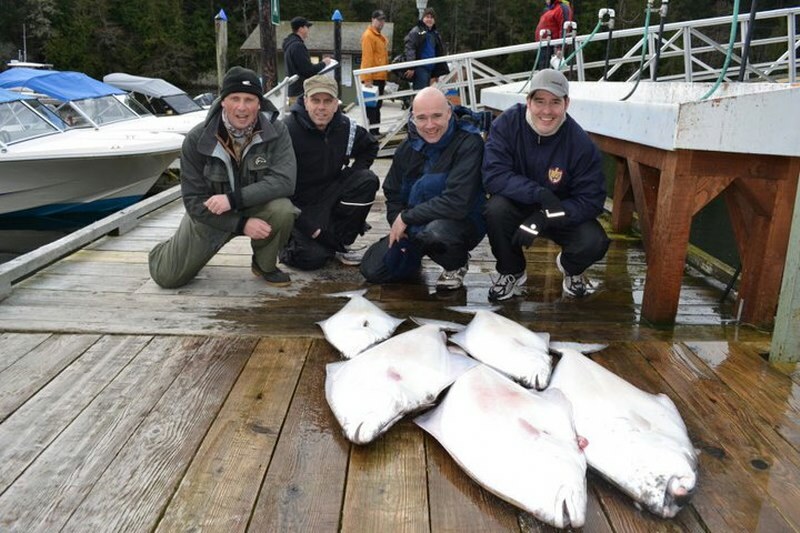 The first few pics are from the McGiveron group which are fast becoming famous at Pedder Bay as my good luck charms! Then there are a couple pics from the Matt Regier group these guys tuffed out a very rough day and managed some fine eats!" There were also some nice size salmon reported in Sooke this week. 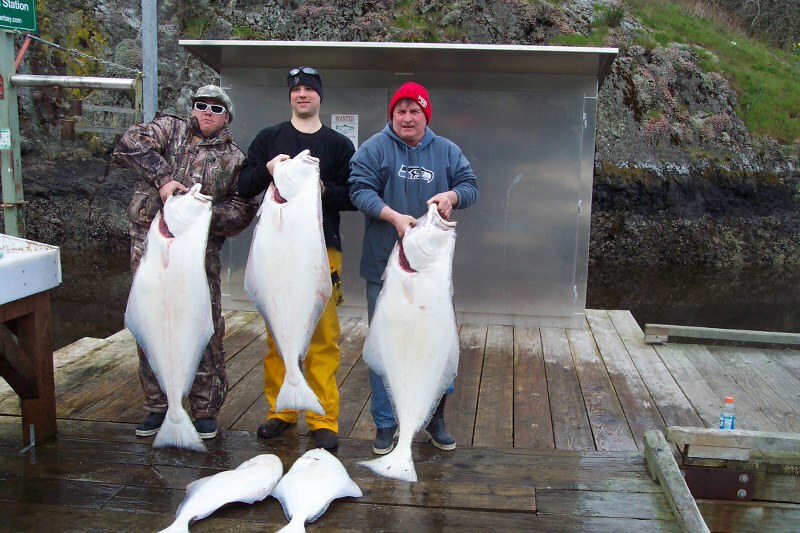 A few wild ones in the low 20s that had to be released, and at least one 15 pound hatchery keeper, with most in the 7-8 lb range. Daily reports seem to be hit and miss, but there are fish being caught ... so if you need an excuse for a day on the water, there you have it!